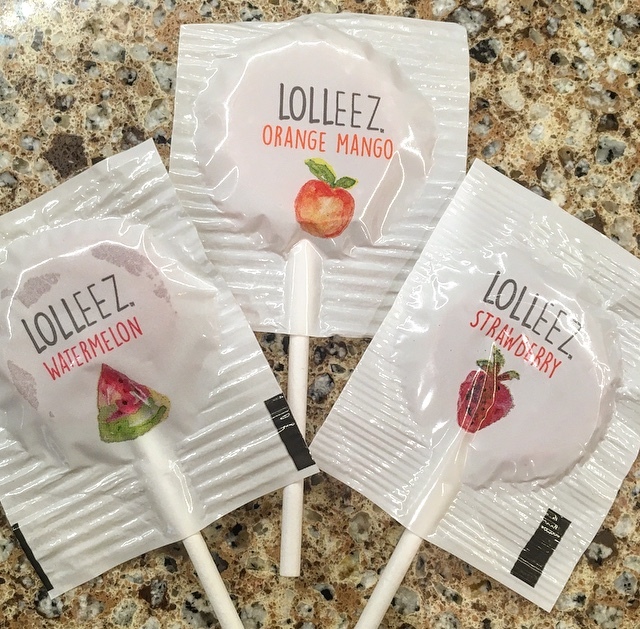 Lolleez are organic, worry-free, throat soothing lollipops for kids. Perfect for allergy season! There is not a week that goes by that I don't hear "Mom I have a sore throat!" My kids seem to get strep often--and if it's not strep, it's allergies! (My oldest is allergic to Cypress, Oak and Pine trees.) So, I was happy to have them try Lollez, a remedy that is fun, healthy and effective. Orange Mango is a hit with my son. The idea for the remedy came from a mom, Melissa Evans, when her child came down with strep. She realized that cough drops and lozenges pose a risk of choking; and many containe chemicals like artificial flavors, colors and ingredients. What makes Lolleez different are the ingredients. Lolleez are made from USDA Certified Organic ingredients and ingredients you can pronounce and understand, like organic honey and natural fruit pectin. They are also Non-GMO as well as gluten, dairy and nut free. Second, Lolleez are made in a worry-free shape that are flat and on a stick versus a round ball, which is a potential choking hazard. Lastly, Lolleez comes in three delicious kid (and adult) friendly flavors: Watermelon, Strawberry and Orange Mango. After surveying hundreds of kids, Lolleez founders determined that traditional flavors like cherry and grape have a negative association that is tied to medicines.